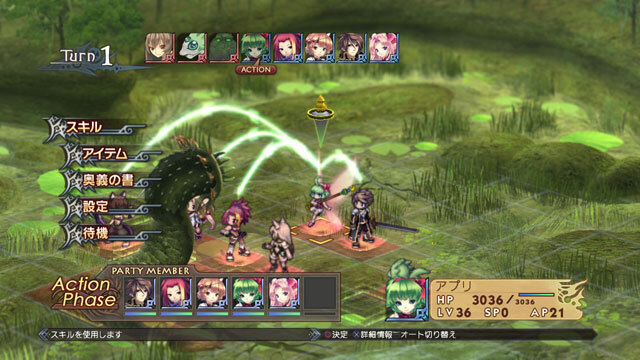 Having recently released several items of free Agarest: Generations of War Zero DLC onto the PlayStation Store, Ghostlight have provided details of the release of the paid Agarest: Generations of War Zero DLC. The Apostle of Winds pack and the Unlock Gallery pack will be released on the 23rd November. On November the 30th Ghostlight will be releasing the Chaotic War Pack, the Daily Extension Pack, the Extra Costumes Pack 1, the Extra Costumes Pack 2, the Extra Points Pack 3, the Extra Points Pack 4, the Extra PP Pack 1, the Extra PP Pack 2, the Extra TP Pack, the Formidable Pack, the Halcyon Days Pack, the L Family Pack ,the New Forbidden Book 1, the New Forbidden Book 2, the New Forbidden Book 3, the Prosaic Bonus Pack, the Schie’s Bargain Pack, the Supreme Weapon Pack and the Tomorrow’s Hero Pack. On December the 7th Ghostlight will be releasing Unlock Expressions, Unlock Movie Gallery and Unlock Voices. To celebrate the release of the Agarest: Generations of War Zero DLC Ghostlight have decided to place several items of Agarest: Generations of War DLC on sale and have invited Agarest fans to decide which pieces of DLC should form part of that sale. You can visit the Ghostlight blog here to help decide which set of 5 pieces of Agarest: Generations of War DLC should have their price slashed by 50%.